The study of English Language Arts, or speaking, listening, reading, and writing, is critical both to academic success and to life beyond school. Without the skills learned in language arts classes, students cannot achieve any kind of mastery in any of their coursework. Good communication skills are necessary for every career field, including STEM fields, and these communication skills are honed in language arts classes. 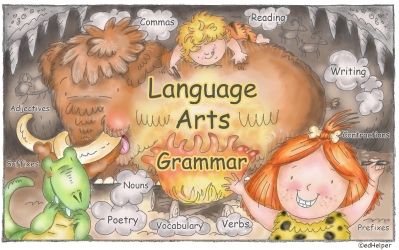 These on-demand workbooks give your students the mixed review of grammar, spelling, and writing skills that will enable them to practice their language arts skills in a fun and diverting manner, ensuring that the skills they have learned will stick. On demand workbooks for language arts review. Click to make a new workbook and new questions will be chosen. No Prep! 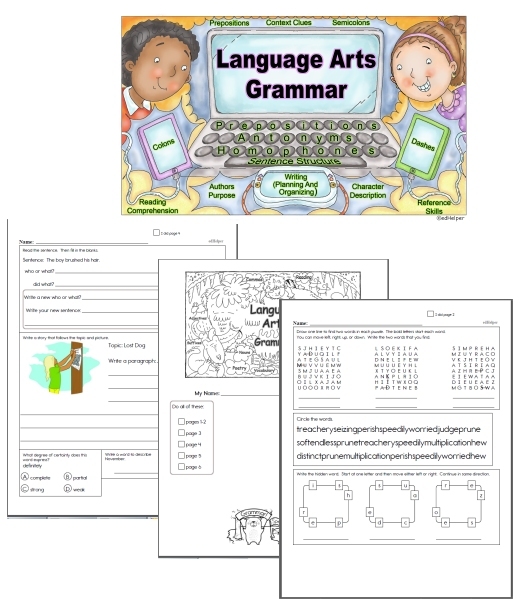 You are just a mouse click away from on-demand workbooks in language arts foundational skills, featuring entertaining puzzles, creative writing, graphic organizers, nonfiction reading selections, and even handwriting! 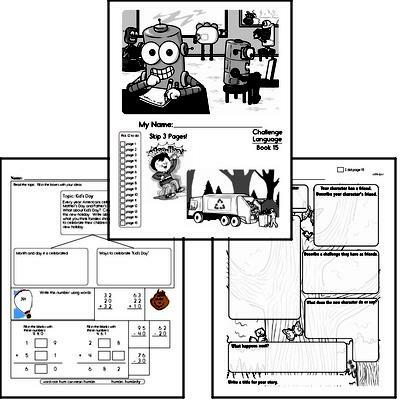 Your students will get excited over the appealing graphics that offer fun and encouragement throughout each workbook. Plan your review lessons with ease using this bountiful mixed review unit!